Alex Banayan (@alexbanayan) is the author of The Third Door: The Wild Quest to Uncover How the World’s Most Successful People Launched Their Careers, which chronicles his seven-year quest tracking down icons from Bill Gates to Lady Gaga to uncover how they broke through and launched their careers. What Bill Gates, Lady Gaga, Steven Spielberg, Maya Angelou, Steve Wozniak, and Jane Goodall all have in common. The role of luck in success (it’s probably not what you think). Why mentors are important (and the mistakes people make when trying to find one). How you can reach out to potential mentors even if you don’t have a connection in common to make the introduction. How Alex hacked The Price Is Right to fund this book venture and his speaking career. After one-on-one interviews with Bill Gates, Maya Angelou, Steve Wozniak, Jane Goodall, Larry King, Jessica Alba, Pitbull, Tim Ferriss, Quincy Jones, and many more, The Third Door: The Wild Quest to Uncover How the World’s Most Successful People Launched Their Careers author Alex Banayan discovered the one key they have in common: they all took the Third Door. In this episode, Alex shares the story of his journey to track down these hard-to-reach people, what he learned from them about the role of luck and mentors in success, and the missteps and course corrections he made along the way. Listen, learn, and enjoy! Most people wait until they’re a little wisened by the trials of time and experience to have a mid-life crisis, but Alex Banayan wasn’t a typical 18-year-old college freshman. Adrift with no clear direction for the future, he pondered what set the course for his heroes when they were in his shoes. Piles of self-help and business books didn’t give Alex the answers he sought, so he decided to go about writing the book he wished existed — and the seed of the idea that became The Third Door: The Wild Quest to Uncover How the World’s Most Successful People Launched Their Careers was planted. At the time, Alex naively figured interviewing and getting material from a few of his favorite world-changing icons would be something to fill the gap between freshman and sophomore years. The reality turned out to be more time-consuming than he had anticipated. There’s no denying that luck plays a role in anyone’s success — even being born in the right place at the right time can have the relative impact of winning the lottery. It’s almost impossible to imagine that Bill Gates wouldn’t have enjoyed some level of success on the strength of his ambition alone, but having access to computers in their nascency gave him an edge that few others before or since would be able to exploit, and it made him a billionaire 90 times over. But it was in conversation with then-Microsoft executive Qi Lu that gave Alex a real understanding of luck’s role in success. Qi Lu had grown up in a village outside of Shanghai, China that was so poor there was only one teacher per 300 children and people developed deformities from malnutrition. Being very smart and working very hard, Qi was making seven dollars a month by the time he was 27. Like so many other smart, hard workers in China, he dreamed of a better life in America — so he needed an advantage over the competition. Studying the sleeping patterns of Da Vinci, Thomas Edison, and other famously prolific geniuses, Qi figured out a way to squeeze an extra two months of productivity out of every year by only requiring four hours of sleep per day. As luck would have it, Qi had the opportunity to speak to a Carnegie Mellon professor lecturing at his local university. The professor had been so impressed by the questions he was asking and the papers he had written about the professor’s area of expertise that Qi was offered a full scholarship to Carnegie Mellon. How did luck play into it? Under normal circumstances, Qi would have ridden his bicycle to visit his parents on that particular night of the week — but it was raining, so he had stayed on campus, attended the lecture, and happened to be the most well-informed scholar in the room on the topic at hand. Thanks to his extra months of productivity, he was prepared when opportunity knocked. This encouraged Alex to do a little more digging into the science of luck, and from the research, it seems one thing is clear: luck is a mindset, not a phenomenon. Thanks to advice from people like The 4-Hour Workweek author Tim Ferriss, Alex learned how to connect with traditionally busy and hard-to-reach people — which is how The Third Door managed to publish at 320 pages rather than 20. Here’s the simple but effective cold email template Tim shared with Alex. I totally understand if you’re too busy to respond, but even a one or two line reply would really make my day. Listen to this episode in its entirety to learn more about how we can cultivate a “lucky” mindset, the mistakes people make in search of a mentor (and how to avoid the mistakes Alex has already made), what you can do to prove to a potential mentor that you’re worth their time, the exponential value of finding a mentor who doesn’t live in the limelight, the value you provide to an ideal mentor, how to reverse engineer what an ideal mentor-mentee relationship might look like, how Alex hacked The Price is Right to finance his seven-year quest to write The Third Door, and lots more. 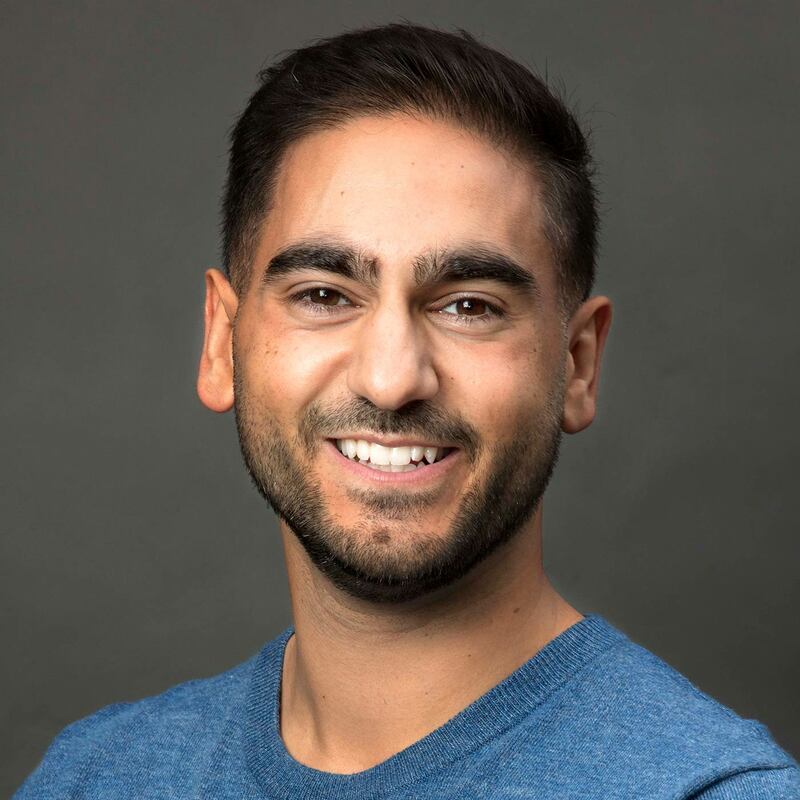 Click here to thank Alex Banayan at Twitter! This Researcher Reveals How Lucky People Differ from Unlucky People by Melissa Chu, Inc.